According to Thomas A. Freese, whose Question-Based Selling system has been adopted and implemented by thousands of salespeople in companies all over the world, YOU are the biggest differentiator between you and your competitors. 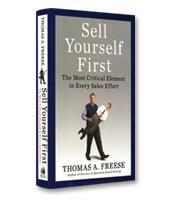 In Sell Yourself First, he shows how to leverage personal assets to win the confidence of customers by displaying a host of intangible attributes, such as credibility, competence, confidence, integrity, creativity, attitude, and thought leadership. 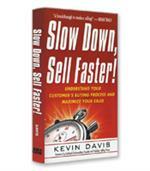 How to gain a significant competitive advantage. Why you should earn credibility early in the sales conversation. How to treat every sales call like a job interview. How the biggest differentiator in a competitive marketplace is you.